Working from home has its perks and challenges. For some of us, like me, there never seems to be enough time to get it all done. After the morning rush to get the kids on the bus, I sit down to work, and before I know it, the kids are home. There’s also the added distraction of working in the place where you live: dirty dishes, laundry, a kitchen stocked with your favorite foods, and a pet desperate for your attention. And with no commute or home office, it’s difficult to officially end your workday. What do people who work from home truly want? More time in the day. More time with our kids. More time to get it all done. 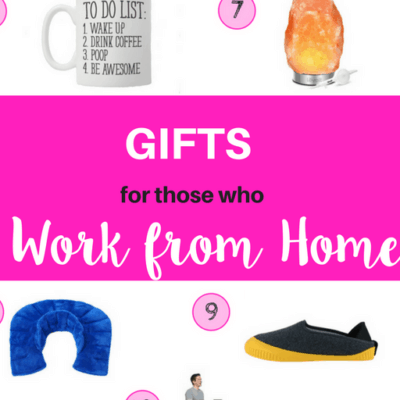 Since that isn’t possible, here’s a list of some items that make life easier for a person who works from home. Cheers to those working from home who make it look easy. And Happy Holidays to everyone!